Dan Hughes’ career is marked by ‘firsts’ – a partner at 29, his name graces many leading international directories including the Asia Pacific Legal 500 and Chambers and Partners. 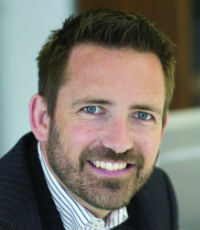 Hughes’ reputation in commercial litigation, particularly in insolvency, was cemented by his work in unchartered areas for New Zealand law, including being the first to apply and successfully obtain recognition of a US bankruptcy in New Zealand and additionally having New Zealand liquidators recognised in Australia. He has been lead counsel in a number of novel cross border insolvency cases. Hughes recently succeeded in the Supreme Court in the highly publicised decision of Fences v Kerbs, a case that brought considerable clarity to the law surrounding voidable transactions.